This year our Peakers took us to the races with their Breakout 2016. Team competition roared off from the starting line with some great dancing and a little help from Dr. Marty’s beautiful 1962 Corvette. 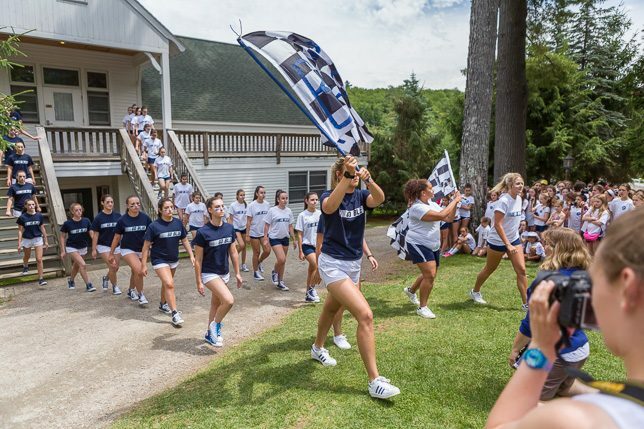 The Peakers divided up the camp into their hand-picked Blue and White teams. The girls went off to their team meetings, and already showed some fantastic team spirit and sportsmanship. Stay tuned for this Sunday’s Scavenger Hunt!